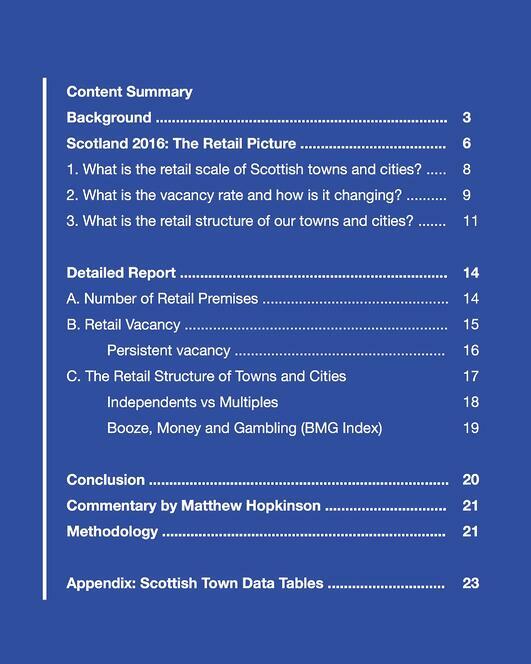 The latest report by the Institute for Retail Studies - University of Stirling and LDC looks at the latest retail health and trends across Scotland's towns and cities. The report is presented in three sections focusing in turn on retail premises (and associated leisure sector), retail vacancy and retail structure. One of the main takeaways is the shift from retail to leisure that Scottish cities and towns are experiencing. Matthew Hopkinson, Director at LDC, comments: "Overall, the data shows that Scotland is making good progress in responding to the challenges of modern place management and this can only be done, as Professor Leigh Sparks makes clear in the report, through good data and sound analysis on an ongoing basis."